Six minifigures in one action-packed pack! Love LEGO® stuff? Love being busy? Get this! Everything from fighting fires to space missions. Why stay at home? You’ve got a cool new address from now on. Well, actually TWO new addresses. 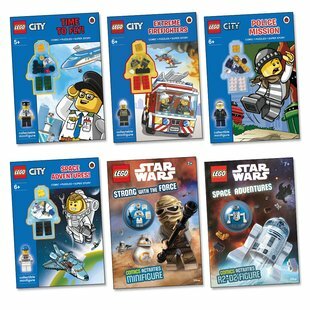 The first one’s in buzzing LEGO® City – and the second one’s out of this world! Hit the streets of LEGO® City to battle blazes, catch crooks and hang out at the shiny new airport. Then blast off into orbit for two activity missions in the world of LEGO® Star Wars!